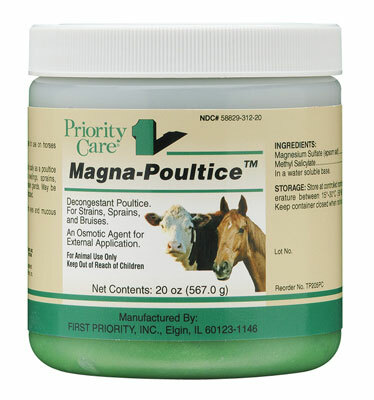 Magna-Poultice from First Priority – a poultice paste for use on horses and cattle. Apply Magna Poultice to strains, sprains, bruises, swellings, acute mastitis and swollen glands. Repeat within 24 hours, as needed. Contains 60% epsom salt in a water soluble base.